I am pretty convinced time just goes by even faster with your second baby. I cannot believe my litle Jo just turned 1, this first year just slipped thru my fingers! 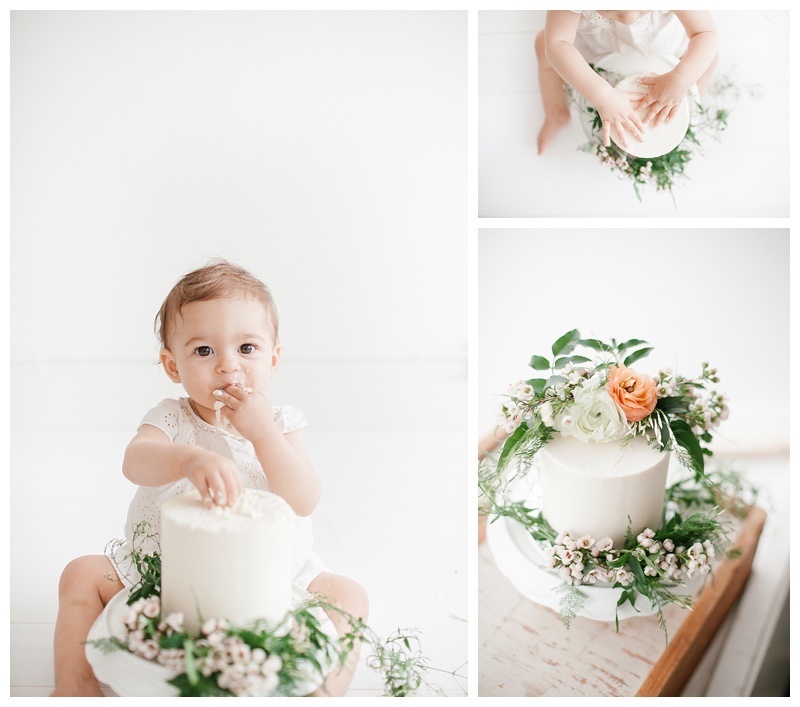 I am normally not a huge " smash the cake" person- but when I am photographing a cake smash session for a babies first birthday- I try to keep it simple and modern, just making it look natural and not too over-done. 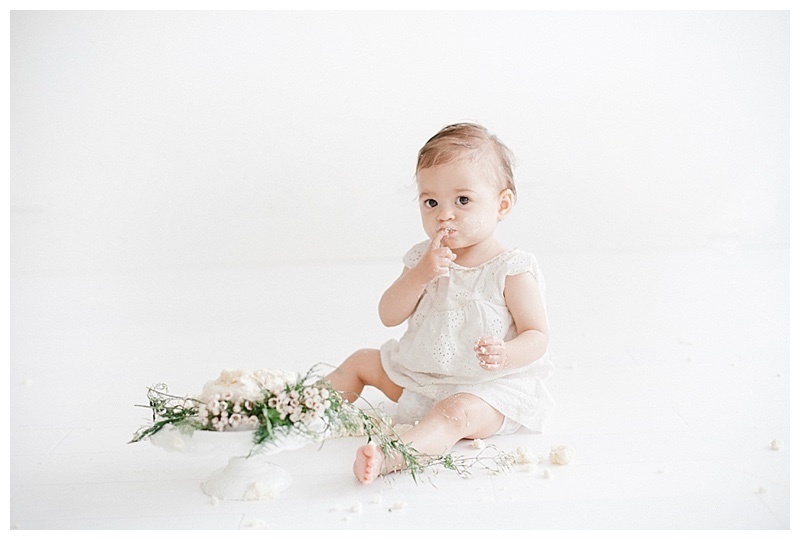 Just the same as I like to photograph all my other newborn and baby sessions- simple and natural. 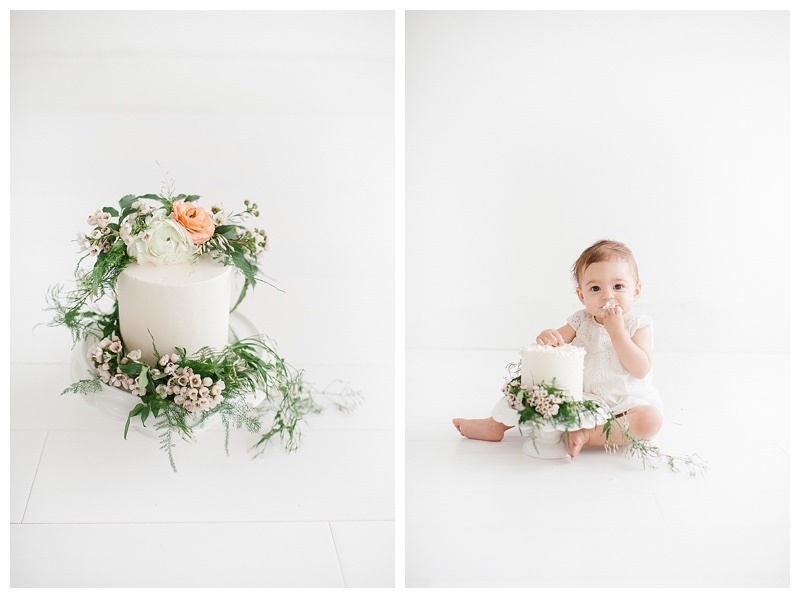 My little gal just loved her cake and my son and I had no problem at all helping her out by eating the left overs! I really di dhave so much fun doing this at the studio with my kids, and it was worth cleaning up the mess we made. 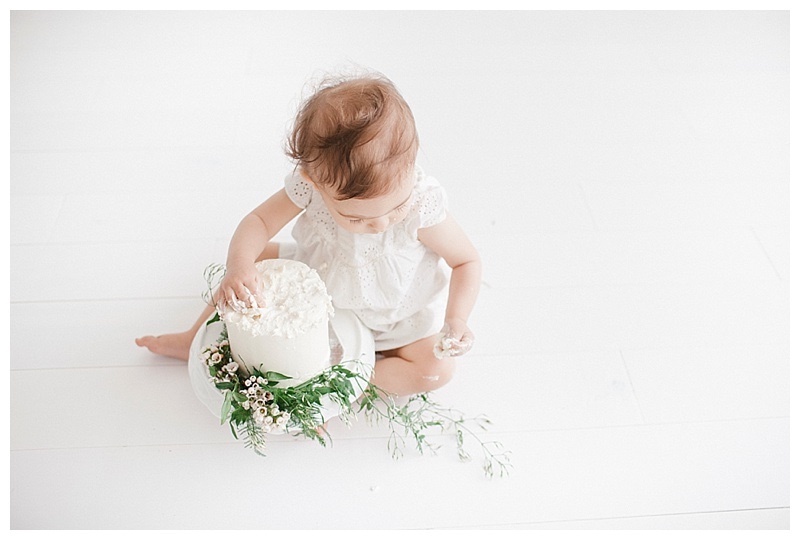 Thank you to Petals and Pop (www.petalsandpop.com) for always helping me out with beautiful blooms, always making my home and photoshoots look lovely. Heather - Any chance you have outfit details for your sweet girl? Jessica - This is gorgeous! Such a good job. Would you mind sharing what color seamless paper this is? She is precious.